These are my notes while watching discussion of George Soros’ book “The Age of Fallibility: Consequences of the War on Terror” somewhere in University of Washington. A link to video recordings of the discussion on YouTube are here. 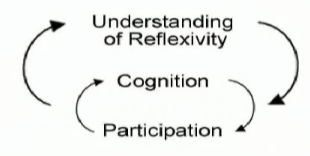 It is a little bit strange to me that the theory of reflexivity did not get through to science (or maybe it did, but with some other name and I cannot figure that out). Well, ok, social constructivism would be probably the name for it, but I do not feel that it is taken seriously enough. The concept of open society is based on the fallibility – our unability to understand the world as it is. Dogmas are false exactly because they impose certainty on a uncertain world. 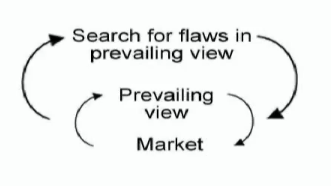 Characteristic of the market (and of history) is self-reinforcing mechanisms with build in bias. You can dig yourself in various holes – you become enthusiastic about internet and that creates an internet bubble. It is impossible to know the truth, but it is important to care about it and search for it (sort of). It is important to come as close as possible to understanding reality. You get closer by recognizing that you cannot get there exactly. Knowing the above you can exploit it. Question about the relation of values as a direction of the action. Do we need a new epistemology? The one which is not abstracted from action, but the one that embraces it (George McLean). Our knowledge is shaped by our values and that should be recognized. 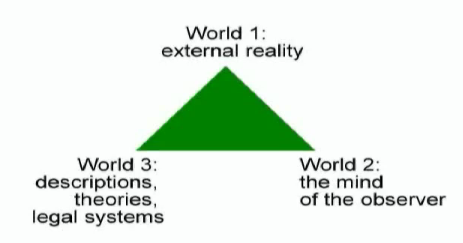 Post modernistic approach that there is no reality and everything is a narrative is a misconception, similarly to the misconception in the economic theory and belief in the separation between the observer and the world. 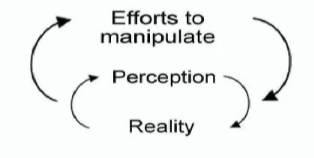 The better way is to realize that our biased perception of reality (and actions) is part of reality and shapes the reality but reality does not necessarily correspond to our understanding and therefore we have unintended consequences. The learning occurs (of financial institutions, e.g.) through understanding reflexive relations. Interestingly, Soros names Greenspan as the guy, who very well understood the uncertainty, while Taleb (in Antifragility) calls him the primary “fragilista” ;). 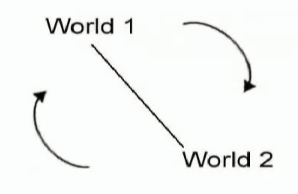 What is the difference between World 1 and 2? There is a two connection between them, so we actually have two. Soros gives an example: “If I say that you are my enemy, you may become my enemy just because I said this”: this is an example of structural coupling (Maturana)! Do we value freedom because of the efficienteconomy? How to go back to the normal science? Reflexivity theory adds to the existing economic theory the inherent bias in the decision making. It is not only information which leads to the actions, something is also in between. This ‘something in between’ adds a new dimension to the economics’. Bioeconomics / neuroeconomics: studies how humans make decisions on the neurological basis and can answer the question how the biases form in the brain and how do they work. See Neuroeconomics. You have an option to manipulate the reality. Well, is it good or not, that’s the question…. Soros says it is bad, but what about virtual realities, computer games and, at the extreme, “life in the virtual reality”? 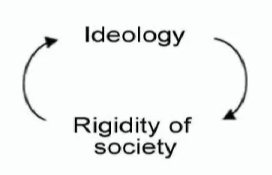 Soros comment: classical theory of economics is a special case within the theory of reflexivity. The future is not a single event, it is a range of events that can emergence depending on biases and actions of the participants. Therefore the future itself is indeterminate. So, any kind of determinate prediction has to be a false prediction. Popper’s position was that the value of the theory lies in the severity of the tests which do not falsify it. Philosophers of science object this by asking how can you measure severity of tests? Soros gives an example of his investment to nearly bankrupt company (as perceived by the market), which eventually did no go bankrupt as a ‘severe test’ of his own hypothesis that the company is going to do ok. This smells related to improbable events, Black Swans and antifragility…. Link to the talk in YouTube. 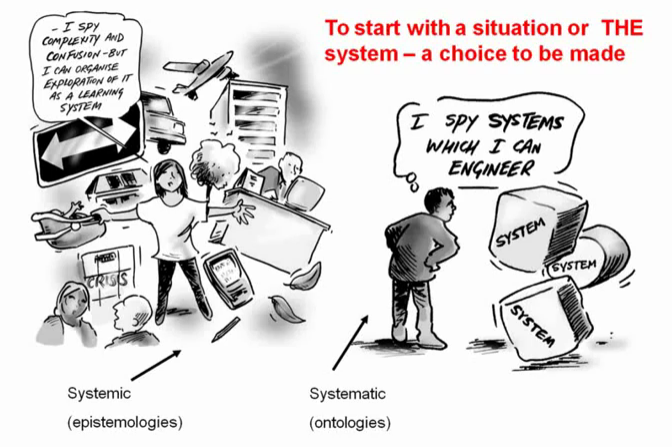 The talk mostly concentrates on climate change, but as he takes a systemic perspective, the principles which he outlines can be applied to other systems too, imho. The biosphere will prevail. The question is: where humans will? What form of praxis might best contribute to paradigm shift in these circumstances? What constraints and possibilities does a conception of rivers as the sturctural coupling of two systems – the human and biophysical – offer to praxis innovations that offer an effective break with dualistic thinking and acting? 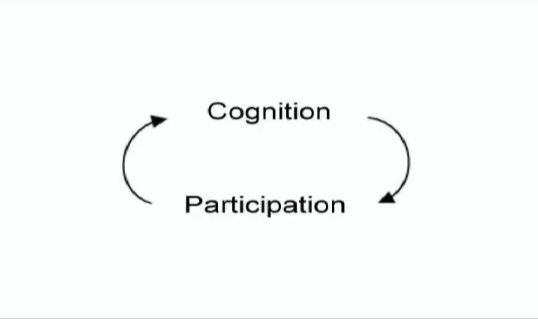 Current paradigm is based on antrropmorphism. Should this needs to be changed in order to make a paradigm shift? Left with open question: can a systemic governing praxis be built?